I live in southern Ohio and I was quite suprised to find this wine in my local liquor store. 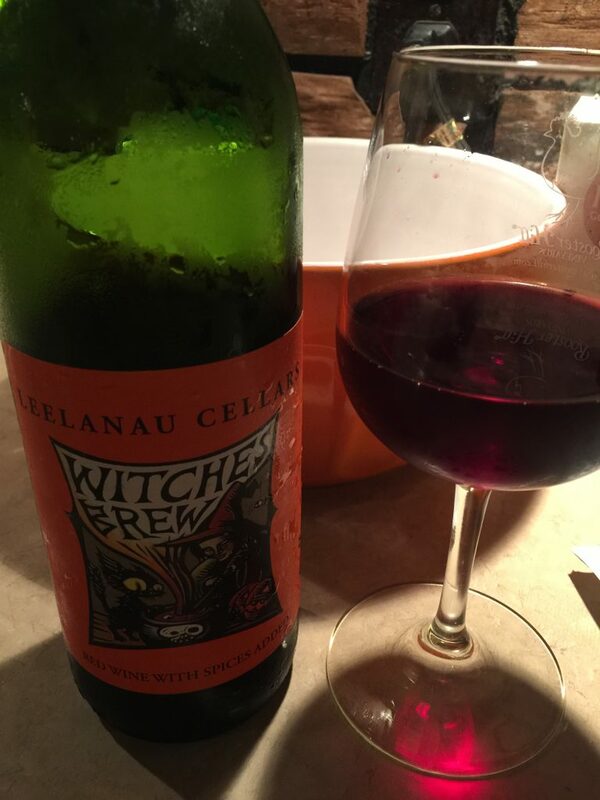 Even though it’s still August I couldn’t resist picking of a bottle of this Autumn-themed wine from Michigan’s Leelanau Cellars. This red with cinnamon and cloves is probably best served warm, but I decided to take my chances and chill it – opening it up on an evening when it was still 80 degrees outside. I actually found it quite delightful served cold. The spices gave it a touch of sweetness, and the colder temperature of the wine didn’t let the cinnamon and clove become overpowering. It was a great departure from the crisp whites I’ve been drinking most of the summer. I could even see this wine combined with some fruit and ginger ale to make a summer sangria. Still…I’m sure this wine was initially meant to be served warm and is probably at its very best when served that way. If you’re hosting a fall get-together this wine would be perfect to serve ladled from a crock pot. Even though I enjoyed it very much chilled, I think I am going to pick up another bottle for a cool fall evening.